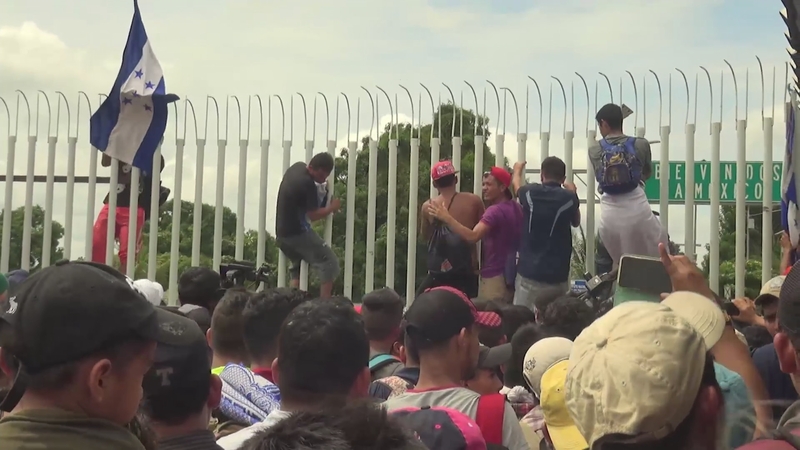 They’ve travelled across a continent but thousands of Central American migrants are now trapped on Mexico’s southern border after trying to break through a frontier fence. The migrants massed in the Guatemalan border town of Tecun Uman, heading for Mexico en route to the United States – claiming they’re fleeing violence and poverty back home. Mexican riot police fired tear gas at crowds who tried to force open a gate, forcing them back into no-mans land.